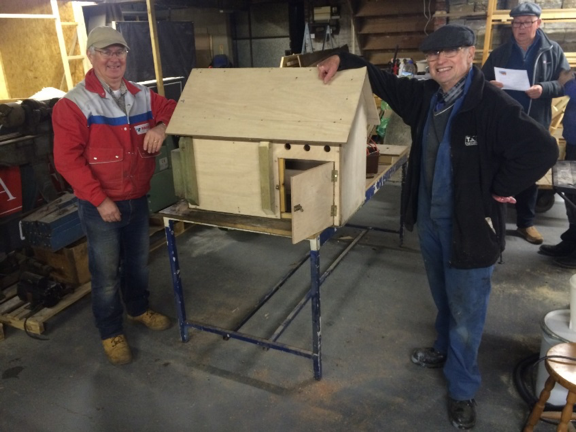 Proud bird box makers at Denby Dale Men’s Shed, at their Scissett workshop, excelled themselves by producing a magnificent Barn Owl box over the winter. It now stands strikingly on Denby Delf, between Upper Denby and High Flatts, where other current work includes developing interpretation boards for this significant Local Wildlife Site. 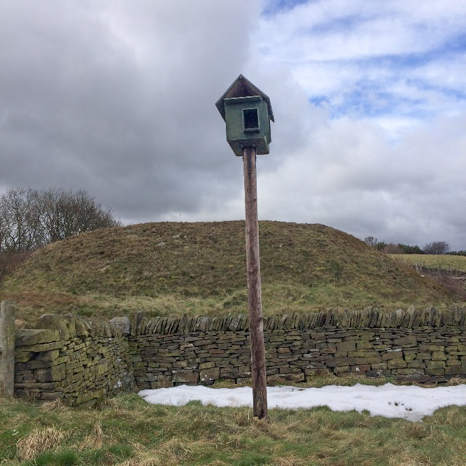 Birds of a smaller variety are being encouraged to visit the grounds of Emley First School after pupils made feeders, some of which were also installed at Emley Millennium Green. Other work by the Countryside Project with schools recently has been at Skelmanthorpe First (grounds development with the 10 Village Volunteers), Birdsedge (bug hotel construction), Kayes (Tree [Charter] planting at Clayton West Millennium Green) and at St Aidan’s, where they are being supported to become an internationally recognised Eco-School. Where possible, environmental work at all schools in the parish is being linked to this prestigious award. 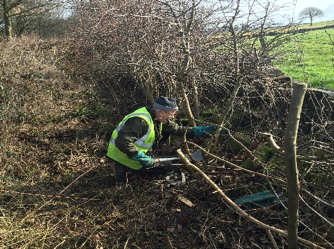 After attendance at a training course, 10 Village volunteers have laid hedge that they originally planted alongside the newt ponds which they maintain and monitor. 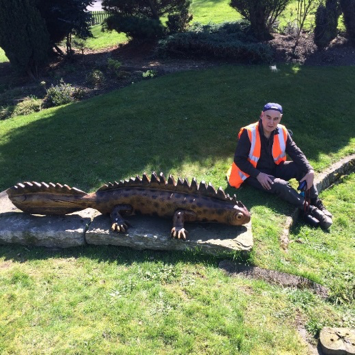 This roving environmental volunteer group have also helped the developing Scissett gardening project to clear ground at St Augustines church and maintain the newt sculpture installed at the entrance to the Kirklees Light Railway. Clearing litter at Clayton West Millennium Green and Emley was undertaken and ridding the river of Invasive Non Native Species (INNS) is an ongoing task for Friends of The Dearne. 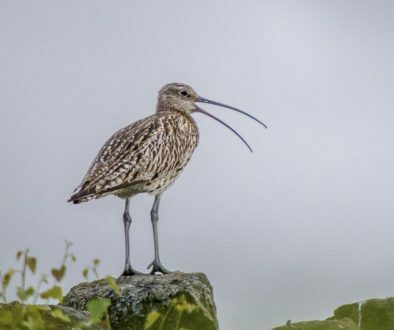 We patrol the headwaters from High Flatts through to Clayton West but, the through partnership work with our friends downstream, we are now linked into the wider Dearne Valley Nature Improvement Area (NIA) big picture. Maintenance of green spaces at East Hill, Cliffe Woods and Churchfield continues and Dave will be leading a bike ride around Denby Dale (Sat 30th June) as part of the East Peak Outdoors Festival (23rd June – 8th July). 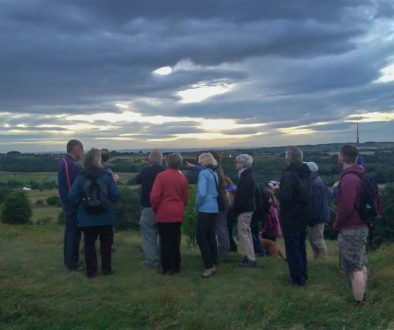 He will also be supporting supporting a Walkers Are Welcome volunteer who is leading a walk from Clayton West to the Yorkshire Sculpture Park on Sun 1st July.